The legal cannabis industry is still growing, but that doesn’t mean there isn’t a place for professionals ready to blaze a new path. More and more states are passing legal cannabis initiatives. More are expected to follow suit in the coming years. And legality at the federal level is expected to be a hot topic during the 2018 midterms and the 2020 general election. Suffice to say that the cannabis industry is really lighting up. Meaning the need for cannabis accounting experts will only grow in the next several years. Now, when you consider the cannabis industry, you may be thinking of tie-dyes and bearded hippies. Don’t get us wrong, these people do exist in the cannabis industry, but as legislation catches up with popular opinion, the cannabis industry is gaining more credibility, and with it, attracting young professionals from all walks of life. One position cannabis business often needs, but have a hard time locating: Experienced accountants! Especially those willing to transaction into the cannabis industry. Cannabis was a nearly 10 billion dollar industry in 2017 and is expected to quadruple in the next ten years. An industry handling that much money needs number crunchers. But how do you break in? If you’re sitting in your accounting office, dreaming of making the leap to the cannabis industry, how do you even get started? We’re going to take you through the steps. Let’s go. Just because cannabis has a reputation for relaxation does not mean that standards within the industry are relaxed. You’ll still need an accounting degree from an accredited university to get started. An accounting degree will get you started, and choosing a university in a cannabis-friendly state may help you make the necessary connections. Once you’ve obtained your degree, get your CPA license. Not every company will require it, but it is still better to have than not. Remember, the cannabis industry is booming. There are plenty of jobs – but also lots of competition. Are you interested in working for an accounting firm specializing in the cannabis industry? Or are your more interested in working as an in-house accountant for a cannabis company? Both routes are in high demand. You may even want to start by working for a firm before moving into a position as an in-house accountant. This will allow you to become familiar with the industry before you jump into being a one-man operation, with more responsivities. Cannabis is a funny industry. Not ha-ha funny, but legally-ambiguous funny. And while accounting and legal are two different departments, knowing cannabis law in your state is vital to being able to be effective in your job. Tax law is different from cannabis businesses than with more mainstream ones. This can complicate things when tax time comes. Knowing your Marijuana Limited SAR forms and how to file them properly is vital. In addition, keep in mind that you will be dealing with piles upon piles of receipts and large amounts of cash transactions. Most major banks still won’t do business with cannabis companies, even in states where it is legal. Some local banks and credit unions will, but not all. This creates some large roadblocks in terms of paying employees and keeping track of how money is moving within the company. Bottom line: the laws and their implications make a cannabis accounting job complex at best. But if you’re prepared for the extra challenge, it could be the right place for you. Now it’s time to find that job. Companies like ours, HempStaff, are cannabis recruiters specializing in connecting cannabis companies, from dispensaries and processing centers, to farms and ancillary businesses with qualified, passionate staff. 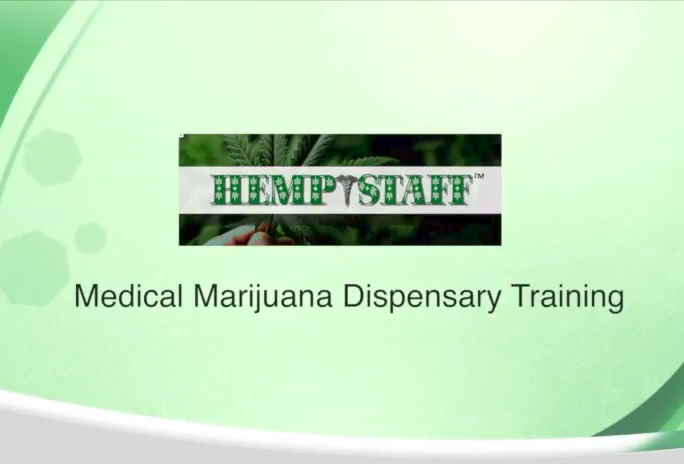 You can register with HempStaff to get notified when we have job openings in your area. While you wait to be contacted by a HempStaff Recruiter, a quick google search will land you with thousands of hits for cannabis companies. But how can you narrow the field? You can use LinkedIn, and should. Update your profile with something like “Searching for Accounting Positions in the Cannabis Industry“. The most useful tools, though, are cannabis-specific employment sites, we recommend sites like 420careers.com or weedhire.com. Use them to jumpstart your search. 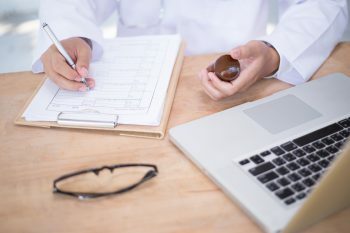 Companies will also post jobs on more mainstream employment sites like CareerBuilder, ZipRecruiter, and Monster, so those are worth checking out too, though they won’t give you the same focus as a cannabis-specializing site. Cold calling and generic resume sending is frowned up on in the cannabis industry. With the amount of solicitation emails and random resumes that hiring managers receive, it will be quickly deleted or relegated to the spam box. If you have your eye on a specific company then keep your eye on their website’s job opportunities page. Most job positions are posted on the company’s website or social media-even before the job boards. Be diligent because with approximately 100 resumes submitted per positions, they are posted and then taken down quickly. If you didn’t check the page today, the posted position might not be showing tomorrow. Because the cannabis industry is expanding so much, new jobs are listed constantly. But there is high competition. Not surprisingly, the industry is attracting huge numbers of job seekers from all over the country. Something to note: it isn’t necessary to pad your resume with weed-related puns or try and make your former work experience sound relevant to the cannabis industry specifically. Plus, in no circumstance should you ever list any illegal cannabis activity you have been involved with, like growing plants in your closest in a state that is not legal. Accounting work is accounting work, regardless of the product. And while we love a good cannabis pun as much as the next person, keeping your resume solid and professional is always the best bet. If you’re ready to shift gears and head toward a career in the legal cannabis industry, look no further. Brush up your cover letter, take a look at the law, and start checking those websites. The cannabis industry is growing rapidly, and as the industry expands, we will need number crunchers and young professionals joining our ranks. For more on getting that perfect cannabis accounting job, register with HempStaff. And for more on employment in the cannabis industry, check out our blog here!